Yesterday Bricsys released Bricscad V12 for Linux and announced its plans to release the three versions of Bricscad (Classic, Pro and Platinum) for Mac in the second half of 2012. 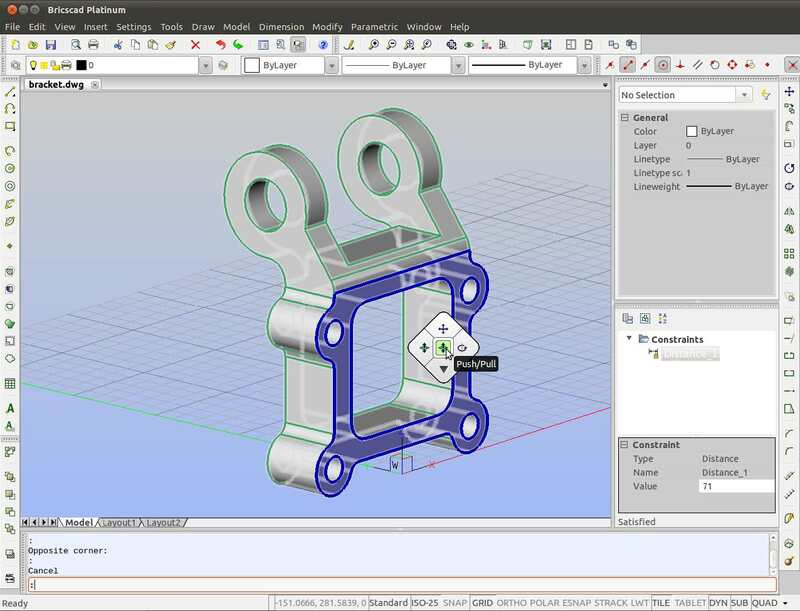 All versions of Bricscad V12 for Linux come with a 2D constraint solver. According to the press release, other improvements include “the ability to trim hatches, add custom hatch patterns, define page setups, generate live section planes, and model in 2D and 3D with visual styles“. The Pro version offers direct modeling. For more information on this feature you can read my three part series titled “Direct Modeling In Bricscad V12“. You can see the technology in action in this video. The Platinum version comes with a 3D constraint solver. A full list of Bricscad features can be found here.